The Doctor- CO battlepack figure This was the first story to feature the 9th Doctor in his Character Options figure guise. 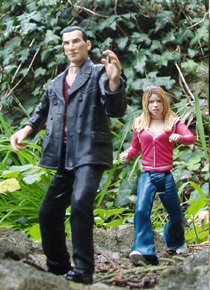 At this early stage of the range, there were very few figures available with no 5" scale guest cast. The beasts are Terapusmordaxes from King Kong. This story was posted in November 2006 at the time the last regular Doctor Who episode posted on the AFT. It never received a cover. At the time, the AFT was in something of a transition. For many years, it had produced stories using our custom figures. Some were better than others but none of them could match the quality of the new figures from Character. I thought long and hard about whether or not to use these figures but eventually the quality won out. Unfortunately it would spell the end of the AFT for a while as although the new series figures would look great, they would only highlight the lesser quality of my classic customs. The other problem was the issue of scale. With the custom figures in 'Star Wars' scale there was already a vast wealth of supporting characters to draw on. There were no figures in my collection of a remotely similar scale. 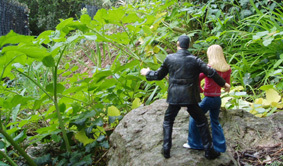 The issue can be corrected digitally in photoshop, but it's not the same as seeing figures together in the same setting. This scale problem was a limiting factor in stories but The Savage Planet proved a simple way round it- a story that only features the Doctor and Rose. 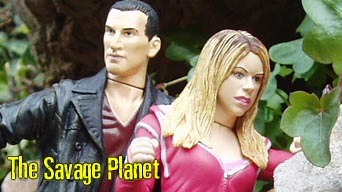 The Savage Planet was shot on location in Torquay in March 2006. The rock face scenes were shot first in Torwood Gardens. 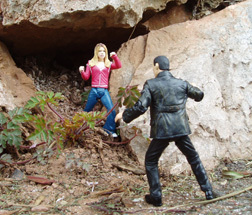 The opening scenes of the Doctor and Rose being chased were filmed at Rock Walk. The blue screen elements like the monsters were shot sometime after. 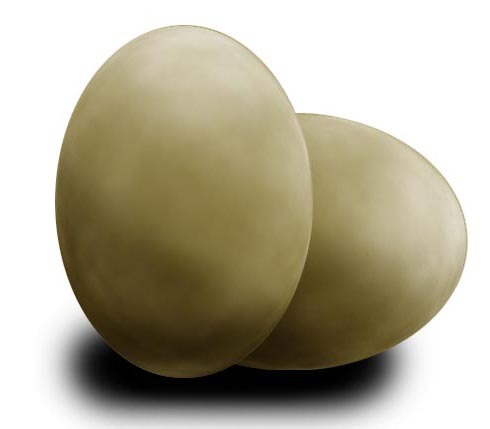 The scene with Rose in the nest was shot on location without the monsters but it was reshot back in the studio using backgrounds taken on location, some eggs created in photoshop and printed and the monsters. The spiders and their web were added in photoshop. The spider is from a real picture that's been coloured blood red. The script original called the planet New Caldonia but this was changed to New Cymru in honour of BBC Wales where the new series is made. Left are two alternate angles for the scene at the cave mouth. The Savage Planet doesn't refer to any series continuity. It appears quite early in the Doctor and Rose's relationship, with him still showing her the sights of the universe so it's probably in that first trip from the end of Rose until she returns home in Aliens of London.